Leave it to Niagara Catering Services for an exceptional dining experience sure to please you and all your guests. Hire us today for your next birthday bash. With our experience, wonderful staff, and affordable rates, you’ll feel luxurious and special on you or a loved one’s special celebration. Birthdays and holidays are a wonderful occasion to bond with family and friends. Great food and service should be no exception on your big day. Niagara Catering Services is your premier catering service for luxury, convenience, and enjoyment. We take care of all the small to big details such as menu selection, beverages, serving options, and even presentation. We aim to provide our customers with a once in a lifetime and unique experience. From fine dining to casual, we can match any birthday or holiday theme with great tasting food. We can accommodate large or intimate parties, and take special care of our customers. From the cake to amazing appetizers, we can create any mood you desire. With our experience and knowledgeable staff, we can also recommend popular venues, transportation services, and more to further ease all your party planning preparations. We work with many local Niagara venues, hotels, and more in which we can recommend. 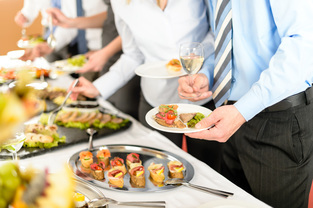 Because we are familiar with the area, you can ensure setup and serving is a breeze with Niagara catering service. 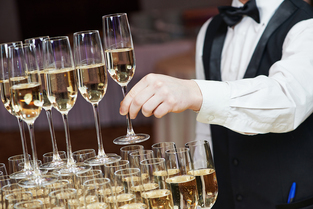 Our servers and staff arrive on time and have all prep work required to make sure your event goes off seamlessly. Unlike other catering companies that claim they offer full service, we are the only company who takes the extra time for our clients. We listen to concerns, help confirm venues, and are here to assist in other requests. 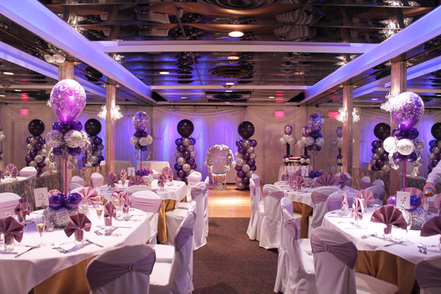 We want nothing more than to make your birthday or holiday celebration memorable and special. 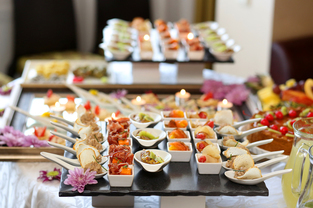 With our catering services, we provide prompt service and work around a number of different variables and schedules. As with any event, enough planning in advance is crucial. If the number of your party changes, let us know, and we can make the necessary adjustments so you don’t have to worry about anything. As one of Niagara on the Lake’s leading catering services, you know you’re in good hands. We serve the entire Niagara Region including St. Catharines, Welland, Thorold, Niagara Falls and all surrounding areas. We make sure our staff is supportive, friendly, and professional. Let us know which type of serving style and options you’d like and leave the rest to us. 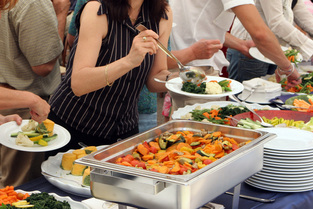 Niagara Catering Services is your premier catering service for luxury, convenience, and enjoyment. We take care of all the small to big details such as menu selection, beverages, serving options, and even presentation. We aim to provide our customers with a once in a lifetime and unique experience. From fine dining to casual, we can match any birthday or holiday theme with great tasting food. Our bridal and baby shower catering services can accommodate large or intimate parties, and take special care of our customers. From the cake to amazing appetizers, we can create any mood you desire. Call us today at 289-273-2266 for availability and pricing! At Niagara Catering Services we take exceptional care of our clients!